As with any type of chemical reaction, combustion takes place when chemical bonds are broken and new bonds are formed. It so happens that combustion is a particularly dramatic type of oxidation-reduction reaction: whereas we cannot watch iron rust, combustion is a noticeable event. Even more dramatic is combustion that takes place at a rate so rapid that it results in an explosion. Coal is almost pure carbon, and its combustion in air is a textbook example of oxidation-reduction. Although there is far more nitrogen than oxygen in air (which is a mixture rather than a compound), nitrogen is very unreactive at low temperatures. For this reason, it can be used to clean empty fuel tanks, a situation in which the presence of pure oxygen is extremely dangerous. In any case, when a substance burns, it is reacting with the oxygen in air. O XIDATION-REDUCTION REACTIONS FUEL THE SPACE-SHUTTLE AT TAKE-OFF . carbon jumps from 0 to 4, while that of oxygen is reduced to −2. As they burn, these two form carbon dioxide or CO 2 , in which the two −2 charges of the oxygen atoms cancel out the +4 charge of the carbon atom to yield a compound that is electrically neutral. Combustion has been a significant part of human life ever since our prehistoric ancestors learned how to harness the power of fire to cook food and light their caves. We tend to think of premodern times—to use the memorable title of a book by American historian William Manchester, about the Middle Ages—as A World Lit Only By Fire. In fact, our modern age is even more combustion-driven than that of our forebears. For centuries, burning animal fat—in torches, lamps, and eventually in candles—provided light for humans. Wood fires supplied warmth, as well as a means to cook meals. These were the main uses of combustion, aside from the occasional use of fire in warfare or for other purposes (including that ghastly medieval form of execution, burning at the stake). One notable military application, incidentally, was "Greek fire," created by the Byzantines in the seventh century A.D. A mixture of petroleum, potassium nitrate, and possibly quicklime, Greek fire could burn on water, and was used in naval battles to destroy enemy ships. For the most part, however, the range of activities to which combustion could be applied was fairly narrow until the development of the steam engine in the period from the late seventeenth century to the early nineteenth century. The steam engine applied the combustion of coal to the production of heat for boiling water, which in turn provided the power to run machinery. By the beginning of the twentieth century, combustion had found a new application in the internal combustion engine, used to power automobiles. An internal combustion engine does not simply burn fuel; rather, by the combined action of the fuel injectors (in a modern vehicle), in concert with the pistons, cylinders, and spark plugs, it actually produces small explosions in the molecules of gasoline. These produce the output of power necessary to turn the crankshaft, and ultimately the wheels. An explosion, in simple terms, is a sped-up form of combustion. The first explosives were invented by the Chinese during the Middle Ages, and these included not only fireworks and explosive rockets, but gunpowder. Ironically, however, China rejected the use of gunpowder in warfare for many centuries, while Europeans took to it with enthusiasm. Needless to say, Europeans' possession of firearms aided their conquest of the Americas, as well as much of Africa, Asia, and the Pacific, during the period from about 1500 to 1900. The late nineteenth and early twentieth centuries saw the development of new explosives, such as TNT or trinitrotoluene, a hydrocarbon. Then in the mid-twentieth century came the most fearsome explosive of all: the nuclear bomb. A nuclear explosion is not itself the result of an oxidation-reduction reaction, but of something much more complex—either the splitting of atoms (fission) or the forcing together of atomic nuclei (fusion). I F NOT POLISHED REGULARLY, SILVER RESPONDS TO OXIDATION BY TARNISHING—FORMING A SURFACE OF SILVER SULFIDE, OR AG 2 S.
Japanese cities of Hiroshima and Nagasaki in August 1945, those cities suffered not only the effects of the immediate blast, but also massive fires resulting from the explosion itself. 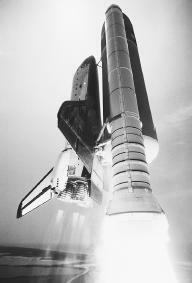 Oxidation-reduction reactions also fuel the most advanced form of transportationknown today, the space shuttle. The actual orbiter vehicle is relatively small compared to its external power apparatus, which consists of two solid rocket boosters on either side, along with an external fuel tank. Inside the solid rocket boosters are ammonium perchlorate (NH 4 ClO 4 ) and powdered aluminum, which undergo an oxidation-reduction reaction that gives the shuttle enormous amounts of extra thrust. As for the larger single external fuel tank, this contains the gases that power the rocket: hydrogen and oxygen. Because these two are extremely explosive, they must be kept in separate compartments. When they react, they form water, of course, but in doing so, they also release vast quantities of energy. The chemical equation for this is: 2H 2 + O 2 →2H 2 O + energy. On January 28, 1986, something went terribly wrong with this arrangement on the space shuttle Challenger. Cold weather had fatigued the O-rings that sealed the hydrogen and oxygen compartments, and the gases fed straight into the flames behind the shuttle itself. This produced a powerful and uncontrolled oxidation-reduction reaction, an explosion that took the lives of all seven astronauts aboard the shuttle. Combustion, though it can do much good, can also do much harm. This goes beyond the obvious: by burning fossil fuels or hydrocarbons, excess carbon (in the form of carbon dioxide and carbon monoxide) is released to the atmosphere, with a damaging effect on the environment. In fact, oxidation-reduction reactions are intimately connected with the functioning of the natural environment. For example, photosynthesis, the conversion of light to chemical energy by plants, is a form of oxidation-reduction reaction that produces two essentials of human life: oxygen and carbohydrates. Likewise cellular respiration, which along with photosynthesis is discussed in the Carbon essay, is an oxidation-reduction reaction in which living things break down molecules of food to produce energy, carbon dioxide, and water. Enzymes in the human body regulate oxidation-reduction reactions. These complex proteins, of which several hundred are known, act as catalysts, speeding up chemical processes in the body. Oxidation-reduction reactions also take place in the metabolism of food for energy, with substances in the food broken down into components the body can use. At the same time, oxidation-reduction reactions are responsible for the spoiling of food, the culprit here being the oxidation portion of the reaction. To prevent spoilage, manufacturers of food items often add preservatives, which act as reducing agents. Oxidation may also be linked with the effects of aging in humans, as well as with other conditions such as cancer, hardening of the arteries, and rheumatoid arthritis. It appears that oxygen molecules and other oxidizing agents, always hungry for electrons, extract these from the membranes in human cells. Over time, this can cause a gradual breakdown in the body's immune system. To forestall the effects of oxidation, some doctors and scientists recommend antioxidants—natural reducing agents such as vitamin C and vitamin E. The vitamin C in lemon juice can be used to prevent oxidizing on the cut surface of an apple, to keep it from turning brown. Perhaps, some experts maintain, natural reducing agents can also slow the pace of oxidation in the human body. Clearly, oxidization can have a corrosive effect, and nowhere is this more obvious than in the corrosion of metals by exposure to oxidizing agents—primarily oxygen itself. Most metals react with O 2 , and might corrode so quickly that they become useless, were it not for the formation of a protective coating—an oxide. Iron forms an oxide, commonly known as rust, but this in fact does little to protect it from corrosion, because the oxide tends to flake off, exposing fresh surfaces to further oxidation. Every year, businesses and governments devote millions of dollars to protecting iron and steel from oxidation by means of painting and other measures, such as galvanizing with zinc. In fact, oxidation-reduction reactions virtually define the world of iron. Found naturally only in ores, the element is purified by heating the ore with coke (impure carbon) in the presence of oxygen, such that the coke reduces the iron. Copper, as we have seen, responds to oxidation by corroding in a different way: not by rusting, but by changing color. A similar effect occurs in silver, which tarnishes, forming a surface of silver sulfide, or Ag 2 S. Copper and silver are two of the "coinage metals," so named because they have often been used to mint coins. They have been used for this purpose not only because of their beauty, but also due to their relative resistance to corrosion. This resistance has, in fact, earned them the nickname "noble metals." The third member of this mini-family is gold, which is virtually noncorrosive. Wonderful as gold is in this respect, however, no one is likely to use it as a roofing material, or for any such large-scale application involving its resistance to oxidation. Aside from the obvious expense, gold is soft, and not very good for structural uses, even if it were much cheaper. Yet there is such a "wonder metal": one that experiences virtually no corrosion, is cheap, and strong enough in alloys to be used for structural purposes. Its name is aluminum. There was a time, in fact, when aluminum was even more expensive than gold. When the French emperor Napoleon III wanted to impress a dinner guest, he arranged for the person to be served with aluminum utensils, while less distinguished personages had to settle for "ordinary" gold and silver. 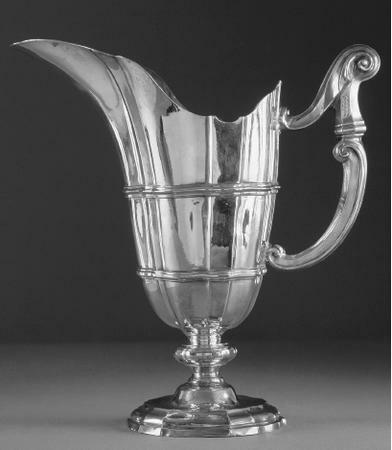 In 1855, aluminum sold for $100,000 a pound, whereas in 1990, the going rate was about $0.74. Demand did not go down—in fact, it increased exponentially—but rather, supply increased, thanks to the development of an inexpensive aluminum-reduction process. Two men, one American and one French, discovered this process at the same time: interestingly, their years of birth and death were the same. Aluminum was once a precious metal because it proved extremely difficult to separate from oxygen. The Hall-Heroult process overcame the problem by applying electrolysis—the use of an electric current to produce a chemical change—as a way of reducing Al 3+ ions (which have a high affinity for oxygen) to neutral aluminum atoms. In the United States today, 4.5% of the total electricity output is used for the production of aluminum through electrolysis. The foregoing statistic is staggering, considering just how much electricity Americans use, and it indicates the importance of this once-precious metal. Actually, aluminum oxidizes just like any other metal—and does so quite quickly, as a matter of fact, by forming a coating of aluminum oxide (Al 2 O 3 ). But unlike rust, the aluminum oxide is invisible, and acts as a protective coating. Chromium, nickel, and tin react to oxygen in a similar way, but these are not as inexpensive as aluminum. Electrochemistry is the study of the relationship between chemical and electrical energy. Among its applications is the creation of batteries, which use oxidation-reduction reactions to produce an electric current. A basic battery can be pictured schematically as two beakers of solution connected by a wire. In one solution is the oxidizing agent; in the other, a reducing agent. The wire allows electrons to pass back and forth between the two solutions, but to ensure that the flow goes both ways, the two solutions are also connected by a "salt bridge." The salt bridge contains a gel or solution that permits ions to pass back and forth, but a porous membrane prevents the solutions from actually mixing. In the lead storage battery of an automobile, lead itself is the reducing agent, while lead (IV) oxide (PbO 2 ) acts as the oxidizing agent. A highly efficient type of battery, able to with stand wide extremes in temperature, the lead storage battery has been in use since 1915. Along the way, features have been altered, but the basic principles have remained—a testament to the soundness of its original design. The batteries people use for powering all kinds of portable appliances, from flashlights to boom boxes, are called dry cell batteries. In contrast to the model described above, using solutions, a dry cell (as its name implies) involves no liquid components. Instead, it utilizes various elements in a range of combinations, including zinc, magnesium, mercury, silver, nickel, and cadmium. The last two are applied in the nickel-cadmium battery, which is particularly useful because it can be recharged over and over again by an external current. The current turns the products of the chemical reactions in the battery back into reactants. "Batteries." Oregon State University Department of Chemistry (Web site). <http://www.chem.orst.edu/ch411/scbatt.htm> (June 4, 2001). "Batteries and Fuel Cells" (Web site). <http://vectorsite.com/ttfuelc.html> (June 4, 2001). Borton, Paula and Vicky Cave. The Usborne Book of Batteries and Magnets. Tulsa, OK: EDC Publishing, 1995. Craats, Rennay. The Science of Fire. Milwaukee, WI: Gareth Stevens Publishing, 2000. Knapp, Brian J. Oxidation and Reduction. Danbury, CT: Grolier Educational, 1998. "Oxidation Reduction Links" (Web site). <http://users.erols.com/merosen/redox.htm> (June 4, 2001). "Oxidation-Reduction Reactions." General Chemistry (Web site). <http://ull.chemistry.uakron.edu/genchem/11/> (June 4, 2001). "Oxidation-Reduction Reactions: Redox." UNC-Chapel Hill Chemistry Fundamentals (Web site). <http://www.shodor.org/unchem/advanced/redox/> (June 4, 2001). Yount, Lisa. Antoine Lavoisier: Founder of Modern Chemistry. Springfield, NJ: Enslow Publishers, 1997. Zumdahl, Steven S. Introductory Chemistry: A Foundation, fourth edition. Boston: Houghton Mifflin, 2000. What are some examples of oxidation reactions besides a rocket blasting off? I really like this page. This page gives me more help to understand about application of oxidation- reduction reaction.